Architecture for Global Learning is an online professional enrichment series developed by NAFSA to help faculty, education scholars and researchers, and higher education administrators strengthen their understanding of global learning and develop their capacity for translating mission-driven institutional global learning goals into concrete curricular and co-curricular experiences. AGL Series III will consist of six, 60-minute e-Seminars delivered throughout the 2018-2019 academic year. Sessions 1, 2, and 3 are part of the Fall Group. Sessions 4, 5, and 6 are part of the Spring Group. Register for both the Fall Group and Spring Group for access all 6 live sessions, handouts, and downloadable session recordings. Fall Group subscribers will receive a special 10% discount on your Spring Group subscription with registration by March 14. You may also register for individual sessions. 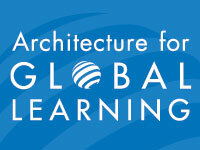 The Architecture for Global Learning series allows you to organize individual or group learning opportunities. NAFSA encourages you to register for the Fall and Spring Groups and invite colleagues to join you for a group brownbag event at your institution! Fall Group subscribers receive a 10% discount on Spring Group registration! Register for single sessions or purchase recordings. Registration for the Spring Group package is now closed. Find our contact form on the NAFSA Global Learning page. Cancellations/refunds for a live event may be considered in certain circumstances. Requests must be submitted in writing at least twenty-four hours before the event in question. Find our past e-Seminars from AGL Series I and Series II on our Series Spotlight page. The NAFSA Global Learning Podcast features interviews with international education leaders speaking on topics connected to NAFSA programs, products, and events focused on global learning. This podcast is available free to NAFSA members and nonmembers. Explore all of NAFSA's programs, networks, and resources focused on global learning.